Exhibit A The Fisherman jersey. In 1995 this was a shock to the senses and soul, an abomination so foul it was augmented after one year and scrapped after two. But it was obvious. The new owners at the time wanted to go all-in and give their team a new identity. Fine, happens all the time. What replaced the Gorton’s Fisherman was in many ways comforting and new and fashionable. What’s that on the right shoulder? There’s no anniversary, number retirement, or death that needed to be commemorated. It’s…a crutch. And it has aggravated me since its unnecessary conception. 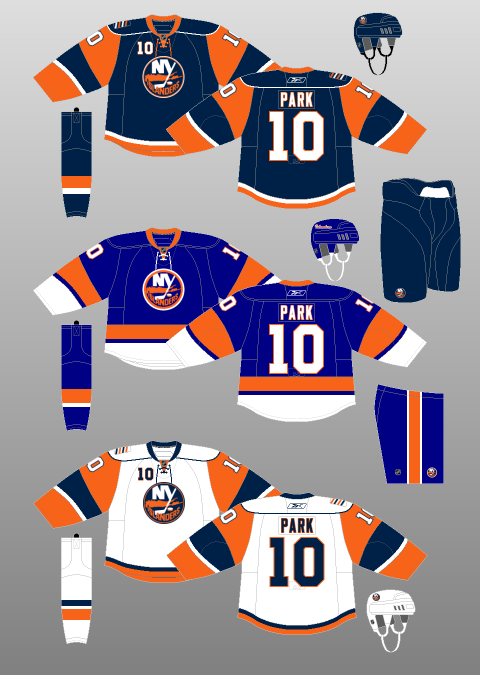 The Four Stripes represent the four-straight Stanley Cups from 1980 to 1983, as the Islanders are the last team to accomplish that feat in North American pro sports let alone the NHL. It’s an old mark but a proud one for this franchise. But stop talking about it. The banners remain in the rafters, the rings are still on the fingers of Nystrom and Bossy and Smith, they’re not going anywhere. The four-straight Cups are now the 17lb bass caught up at the ol’ lake. They’re history to be revered not a jersey element to cling to. The patch would not last long, because the crutch would get bigger. They changed the logo to add the crutch. 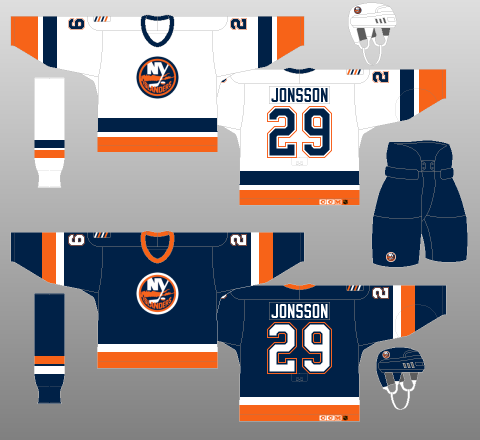 With their best uniform in 20 years, NOT the Finding Nemo base set, the Islanders literally wove the ghosts into the fabric. The three stripes on the stick became four. It’s a permanent reminder that it’s been 31 years since a Cup was paraded down Hempstead Boulevard. Thanks guys. Needed that. We stand here today, four stripes where there should be three. Branding the current with the past reinforces that the past is better and the now isn’t getting the job done. Its a superstitious weight this current incarnation does not need to suffer. The fan base, too, knows how long it’s been. Enough, we get it. Moving to Brooklyn has created a whirling cesspool of uniform and logo hogwash and innuendo. One day they’ll have a third jersey that’s black and looks like the Nets. Whatever, it won’t last long because revenue will always trump marketing gimmicks. As much as the logo should be tweaked to include the entire island past the East River, the three stripes need to reinstated. 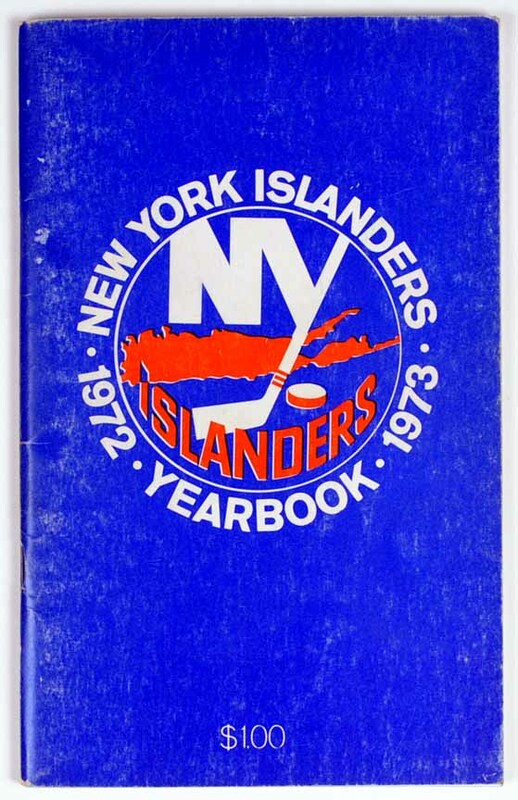 It is what the Islanders looked like in 1972, 1983, and 2002. Three stripes is the only way to “honors the past”, allow the ghosts to rest, and walk upright and proud. No crutch. 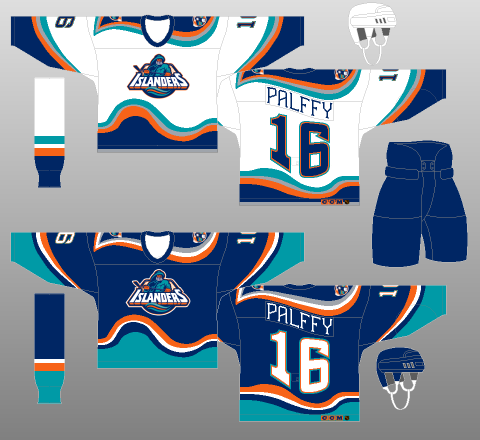 This entry was posted in Islanders, Jerseys and Logos and tagged brooklyn, islanders, isles, logo, new york islanders, nhl, uniform. Bookmark the permalink.